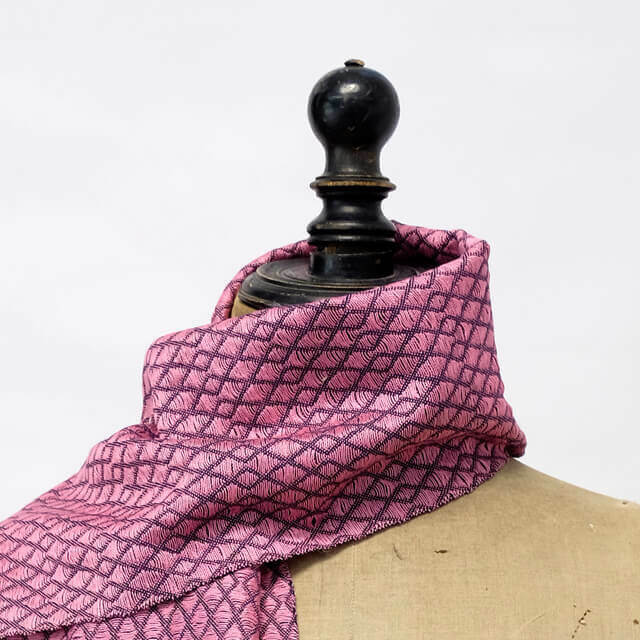 Elie is inspired by the designer/makers love of derelict buildings and patterned details in architecture. 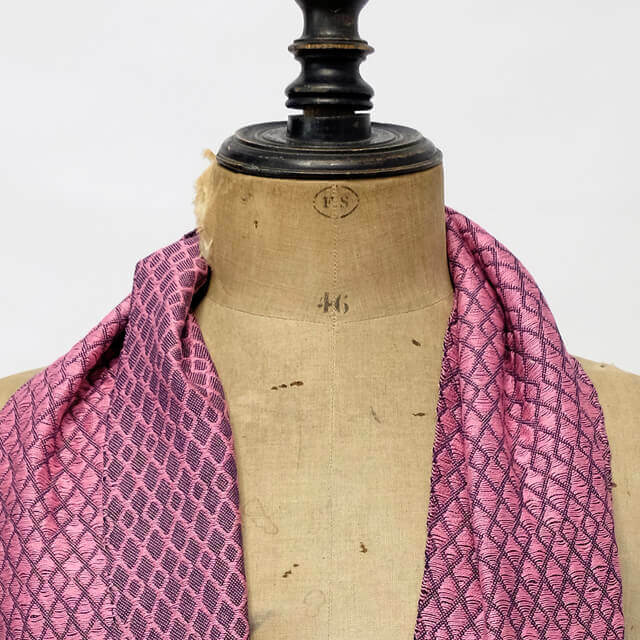 A one off, hand woven and beautifully finished scarf. 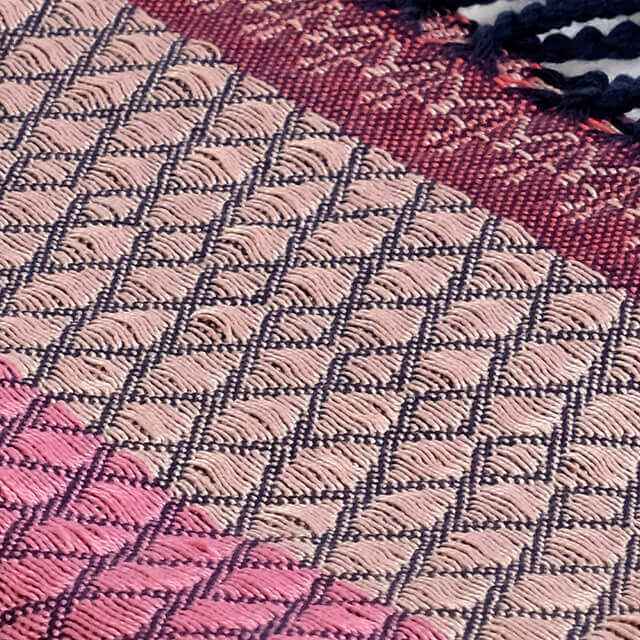 The fibres are 100% fine cotton and the colour is a combination of navy blue, deep pink and pearly pink giving a beautiful, rich tone. 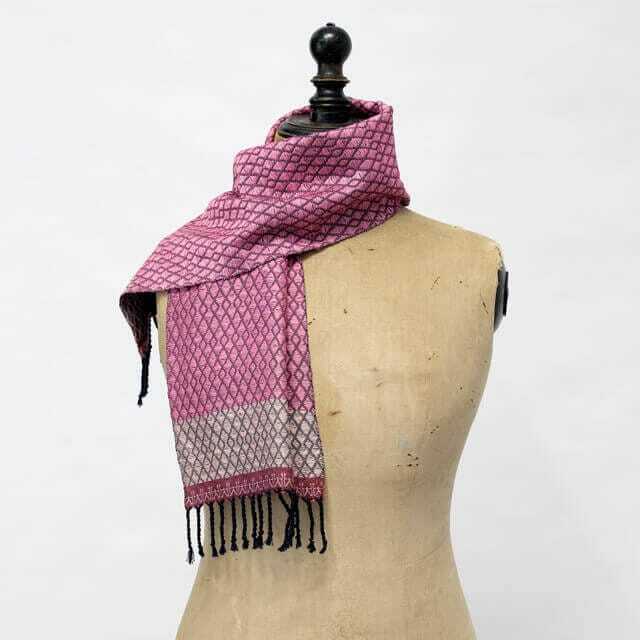 The scarf has a fine handle and lovely drape and is hand finished with edge detail and tassels. Elie is presented in its own luxury black box branded with a traditional wax seal. 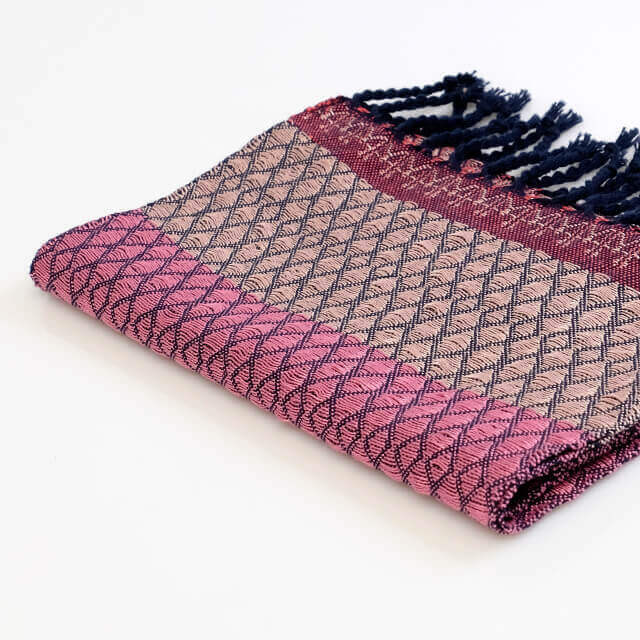 After Care : All scarves should be hand washed in cold water in a gentle detergent and left to dry flat.